Twyford Bathrooms leads the way in sanitaryware development with design and innovation working together to create ranges that not only look great but also perform brilliantly too. Like low volume flush WCs, water efficient baths and low flow taps. 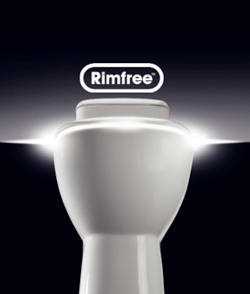 And our revolutionary new ultra hygienic Moda Rimfree™ WC.